To be quite honest with you, cookie decorating IS a lot of work. It takes a lot of thought, planning, purchasing, sketching and preparation before I get to sit down and do the fun part, decorating. 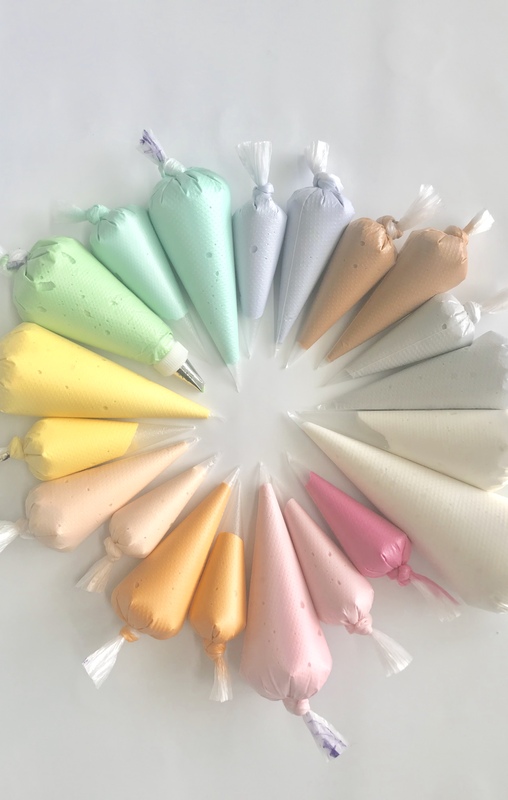 After the dough was made, rolled, chilled cut out and baked, I still had an hour and a half of just mixing colors. For real. It takes that long. But when you get that part right, you will love your end result! 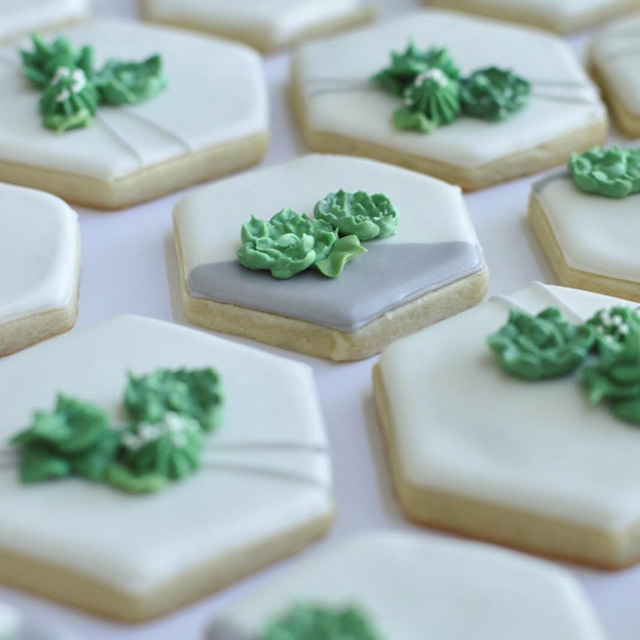 There’s nothing worse than finishing a set of cookies and feeling like the colors just aren’t right. 🙁 This time though, I got it right! So lets start with my favorites. 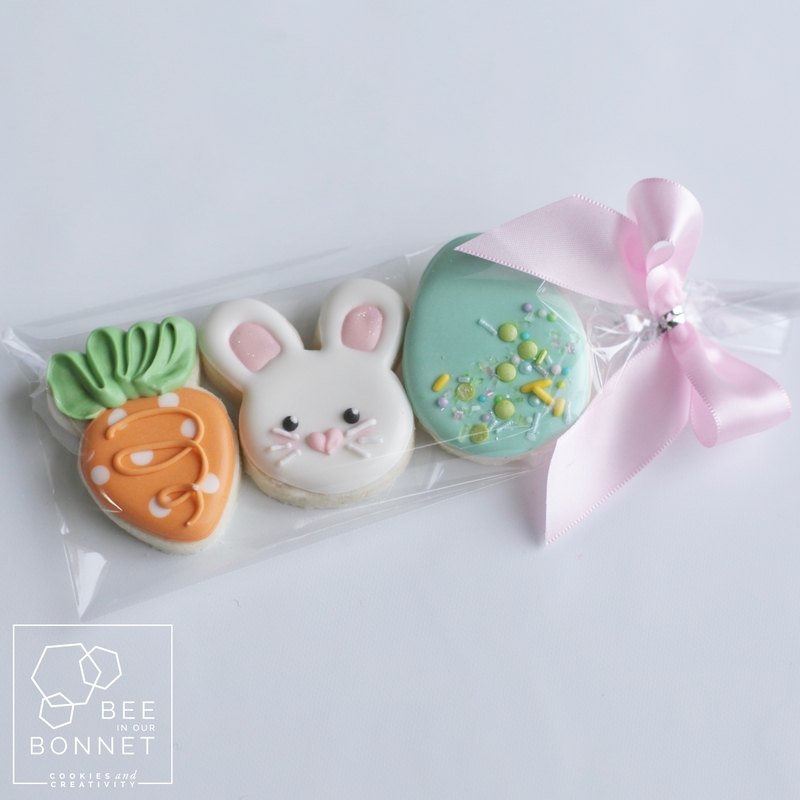 I’m fully obsessed with this set of 3 cookies. One person commented on my instagram that if they could snuggle cookies, they would. My thoughts exactly! If I could snuggle this little lamb…. Now I had to do the ever popular minis! 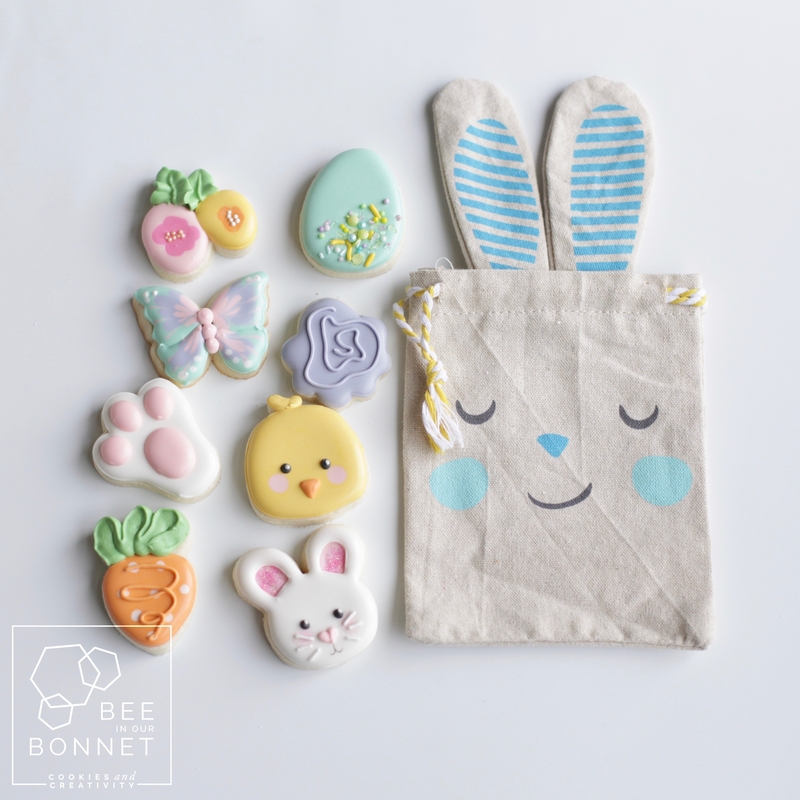 And these turned out pretty adorable! I had also scouted out this linen bunny bag at Target early in the season. I went to all the Targets in my area, and went again when they restocked so I would have enough to offer people! I scored 80 of these babies. 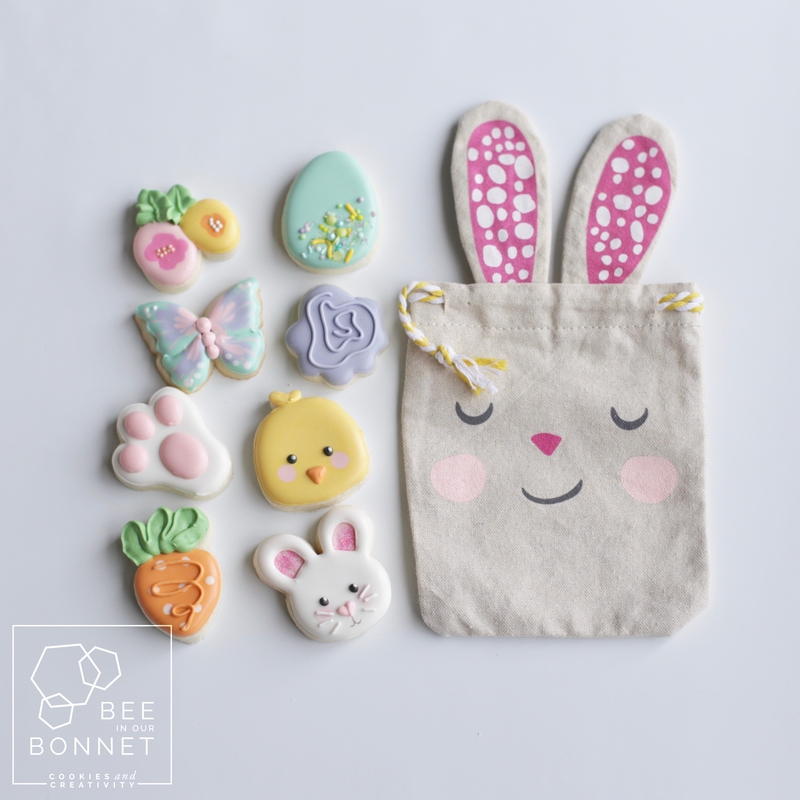 If that’s not dedication to cute packaging, I don’t know what is! 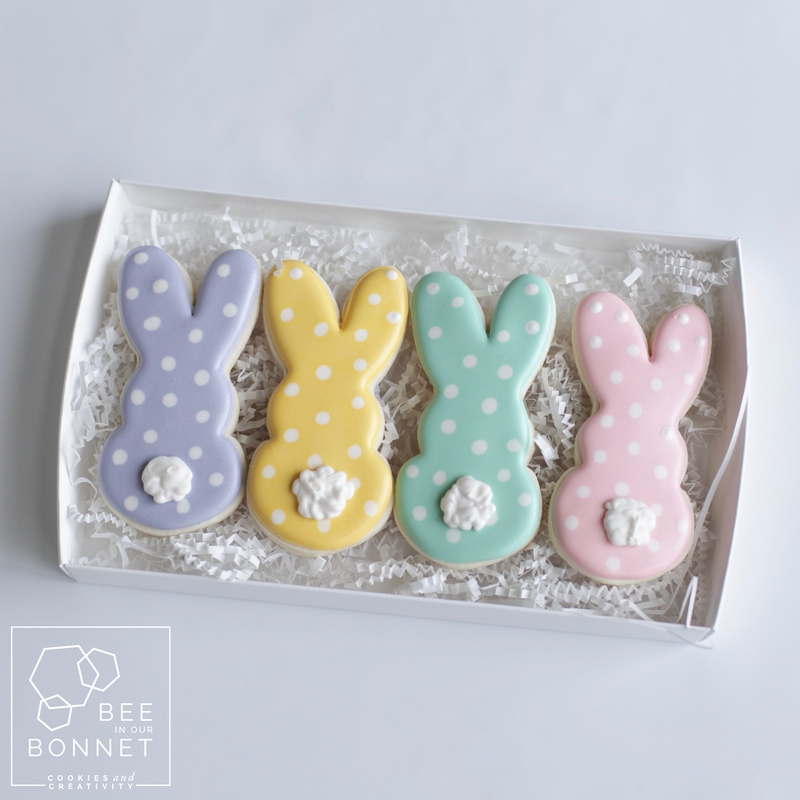 But just in case people only wanted a few cookies, I made a 3 pack as well. Of course I had to include some single cookies. 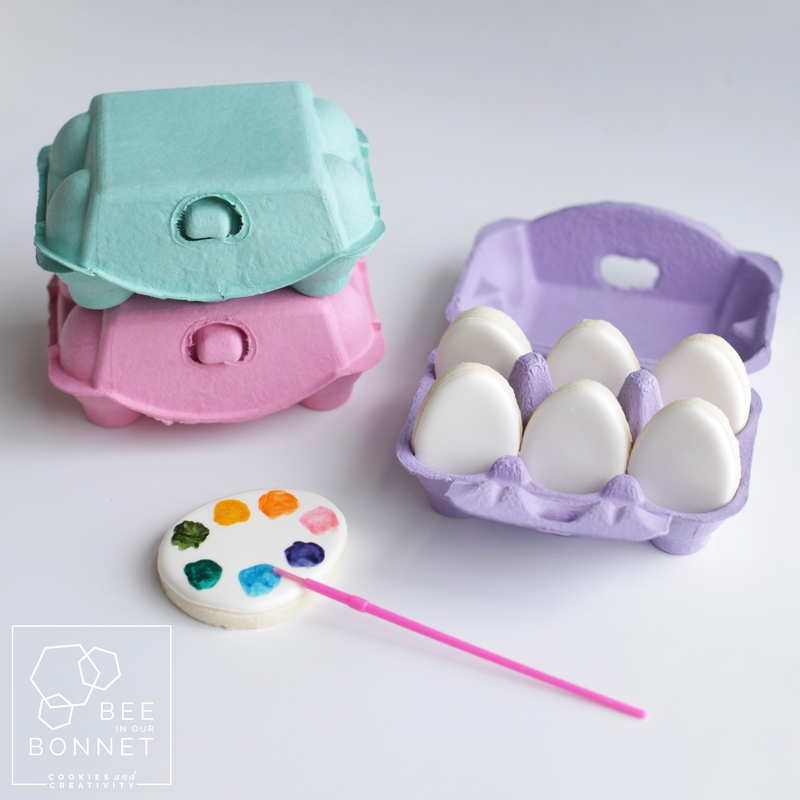 These will tuck nicely into Easter baskets! 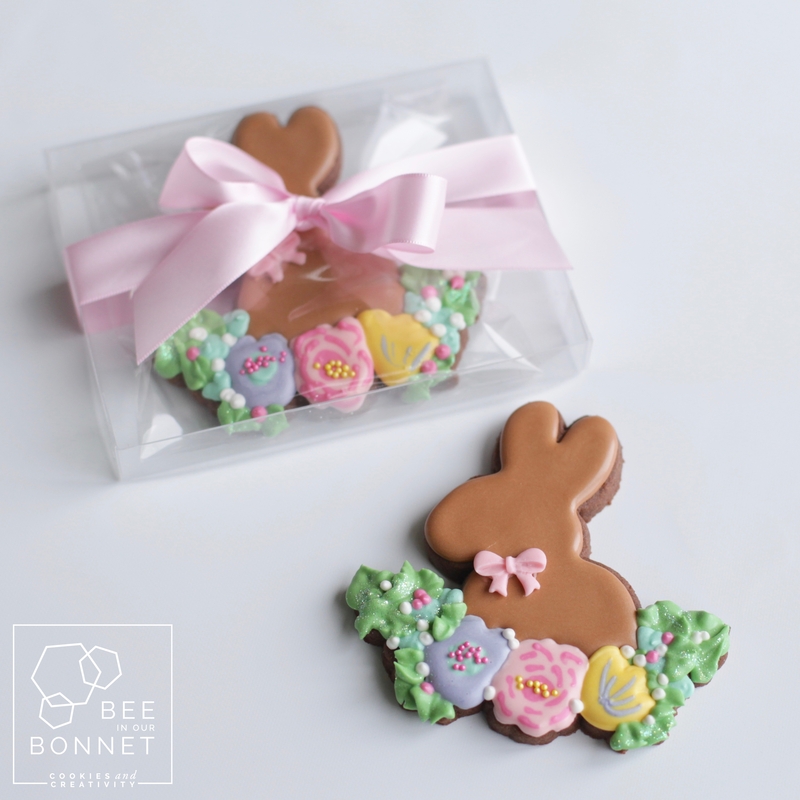 I even tried something new and did a chocolate cookie for one of them! Last but not least, I tried a new style of “paint your own” cookies. 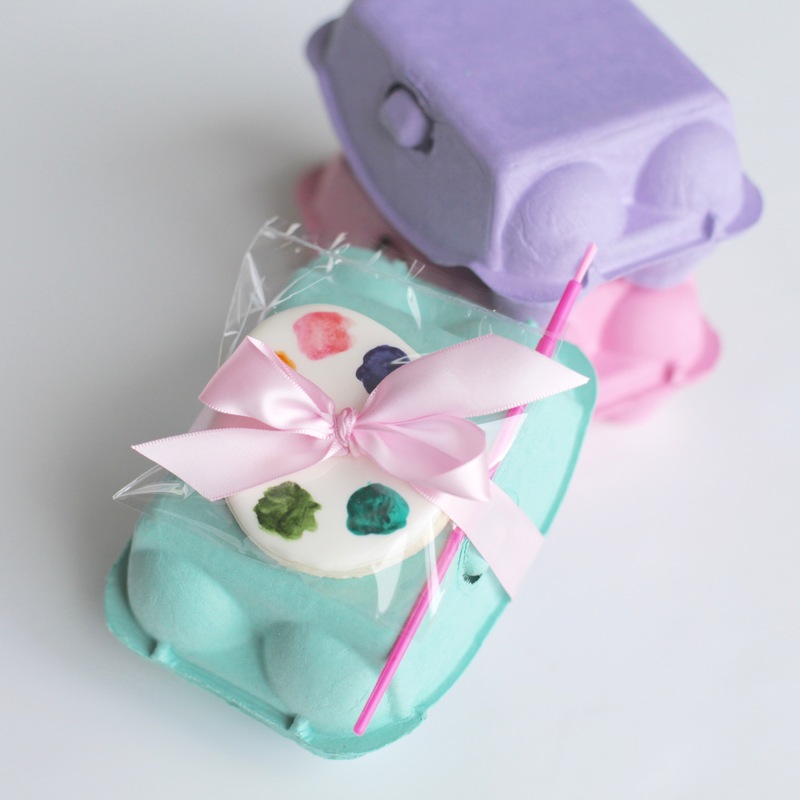 When I saw these pastel egg cartons at Hobby Lobby I knew what they needed to be used for. 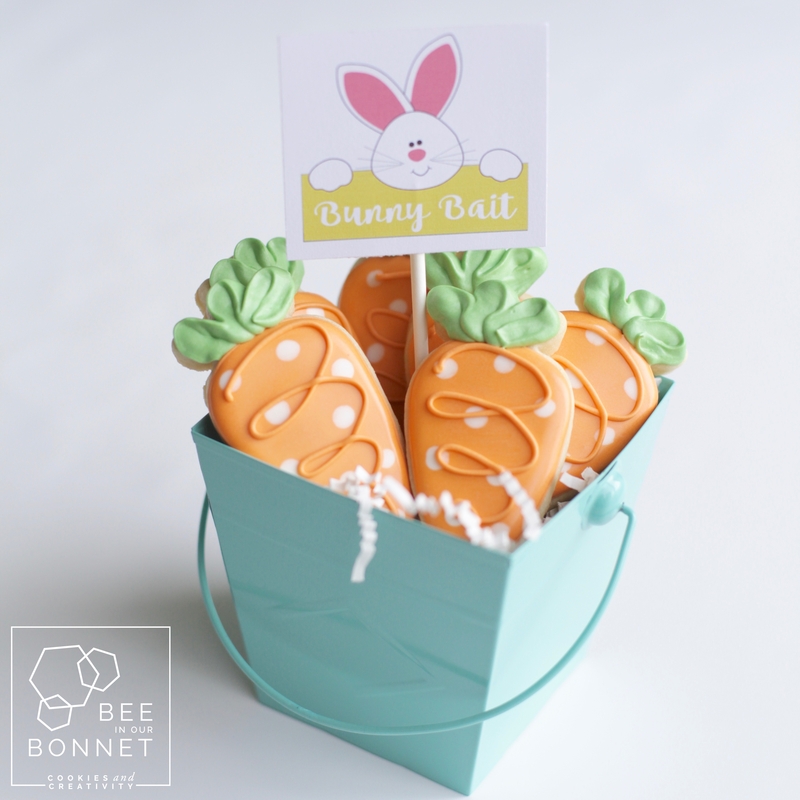 And similar to carrots, I think dying easter cookies is a lot yummier than dying Easter eggs! And they don’t stink up your fridge. 😉 And if I’ve said it once, I’ve said it a million times. 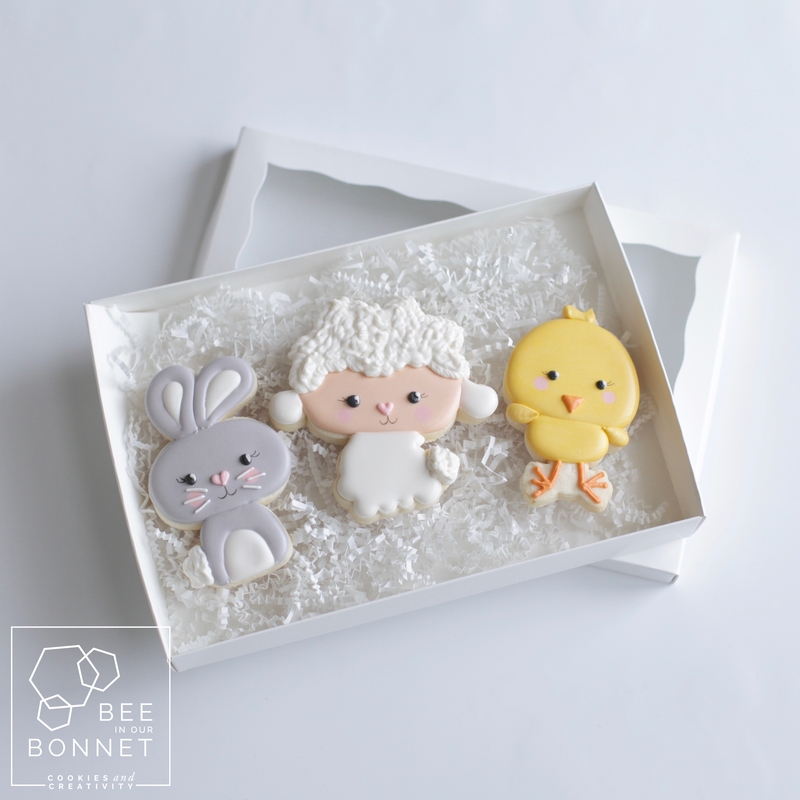 PYO cookies aren’t just for kids. Adults have just as much fun with them! 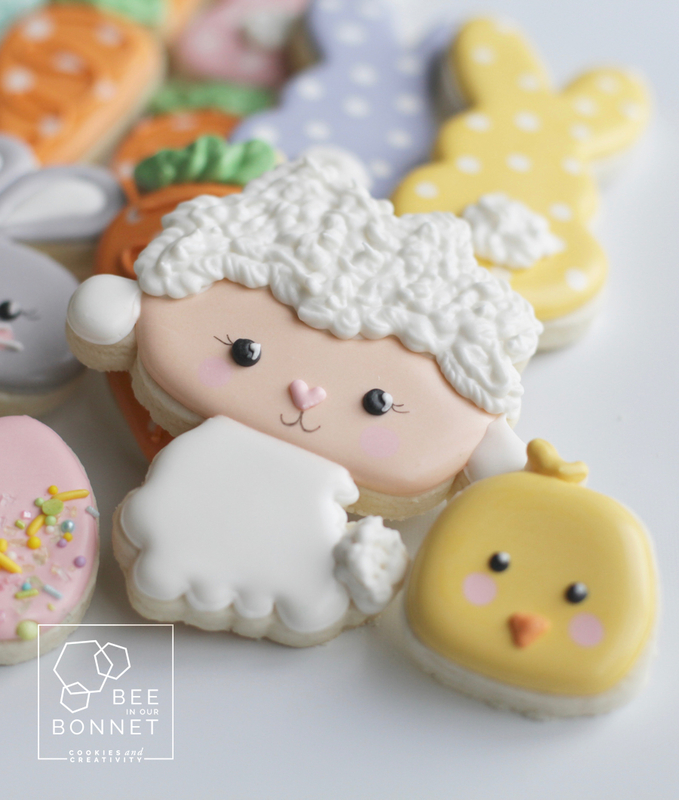 So that’s a wrap for Easter Cookies of 2018! And before you start giving me too much credit, I have to give a shout out to the sweet design shoppe for many of the cutters and designs. 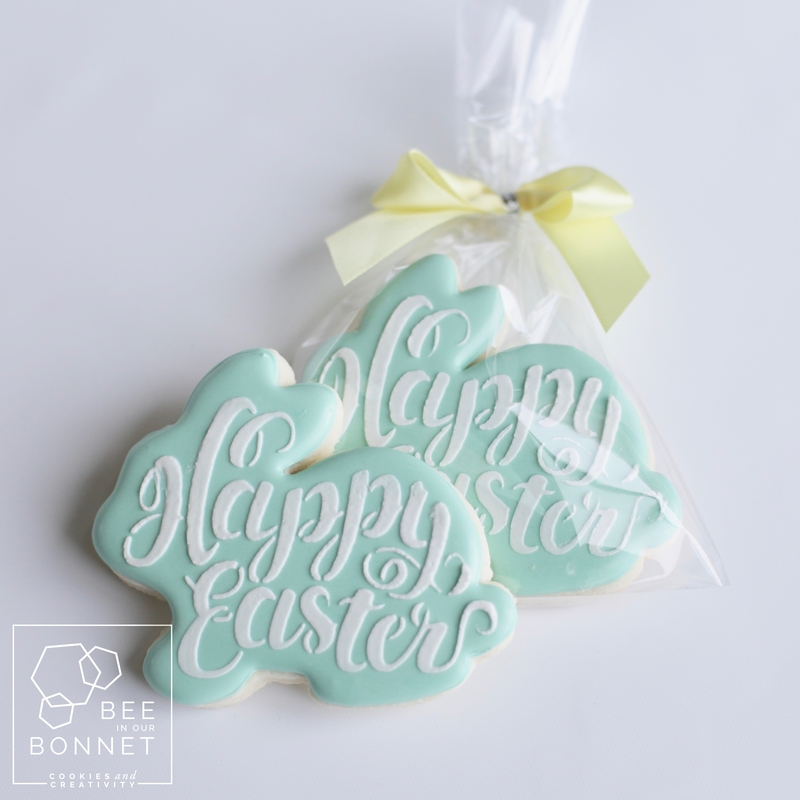 Also to semisweet designs for the cutter and stencil of the “Happy Easter” cookie. You are so talented!! 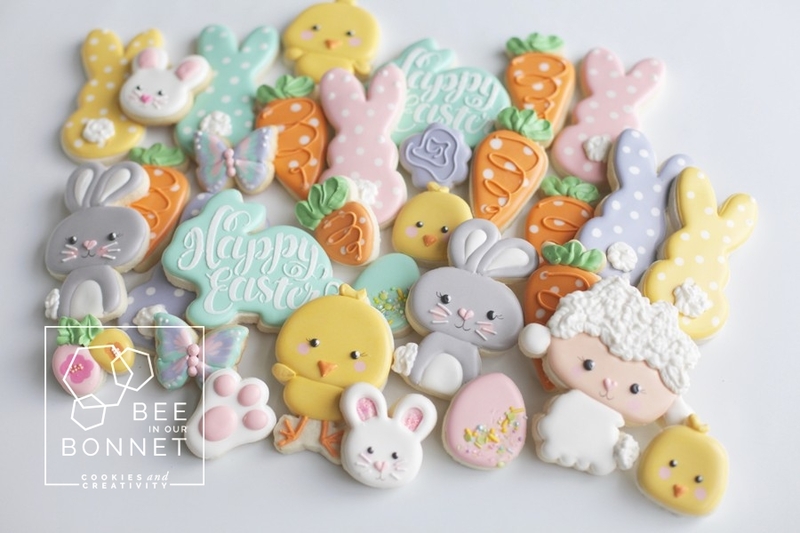 These cookies are so cute!